Pittsburgh rapper Wiz Khalifa is plugging new album Rolling Papers. k.d. lang is supporting Sing It Loud, due out tomorrow. British metalcore band Asking Alexandria is promoting sophomore album Reckless And Relentless. Rerun from March 3. 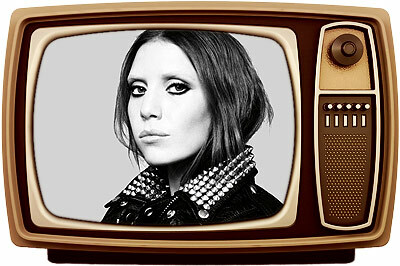 Swedish indie songstress Lykke Li performed “Get Some” in support of Wounded Rhymes. Rerun from March 15. Lykke Li performed “Get Some,” Grace Potter was promoting her self-titled LP, and School Of Seven Bells was plugging new album Disconnect From Desire. The singer/songwriter is supporting new LP Let England Shake. The Latin rock band is promoting tomorrow’s release of Drama Y Luz.